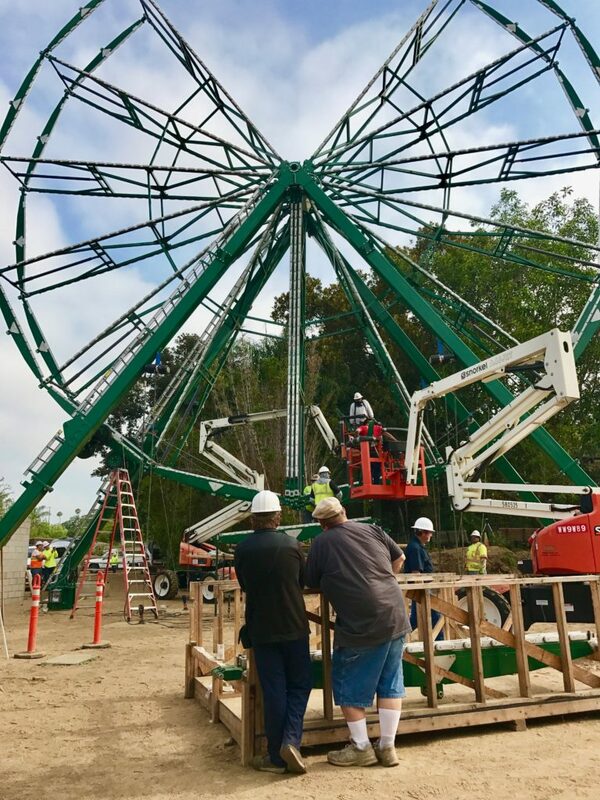 Exline Design & Architecture (EDA) is pleased to have worked with the Friends of the Santa Ana Zoo (FOSAZ), to bring a delightful new attraction to central Orange County's Prentice Park, and the Santa Ana Zoo. 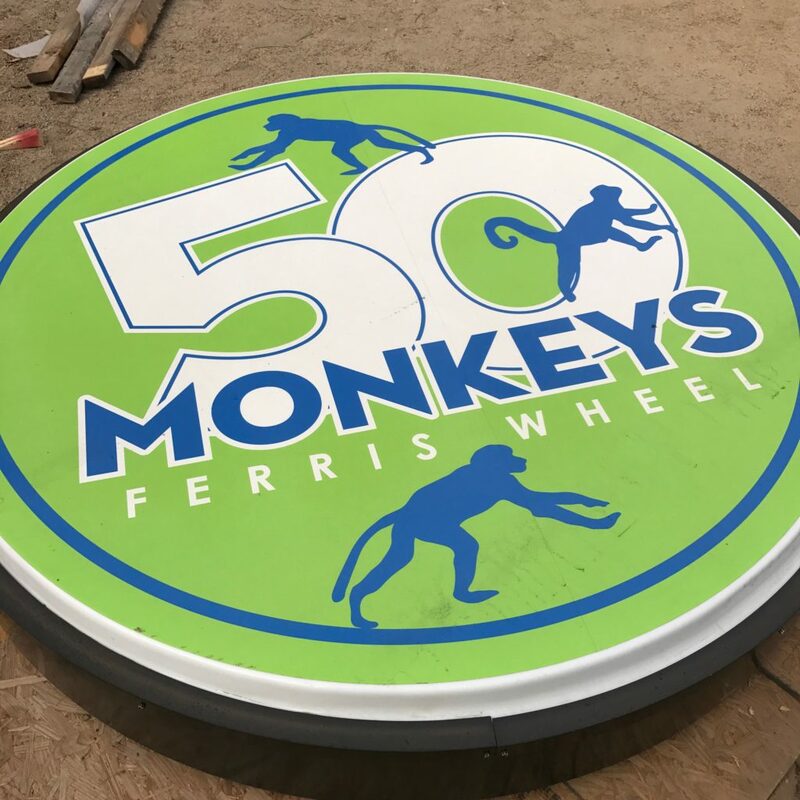 As an addition to the Zoo's Conservation Carousel and the Zoofari Express Train Ride, this non-profit support entity is funding the addition of the all new 50 Monkey Ferris Wheel! 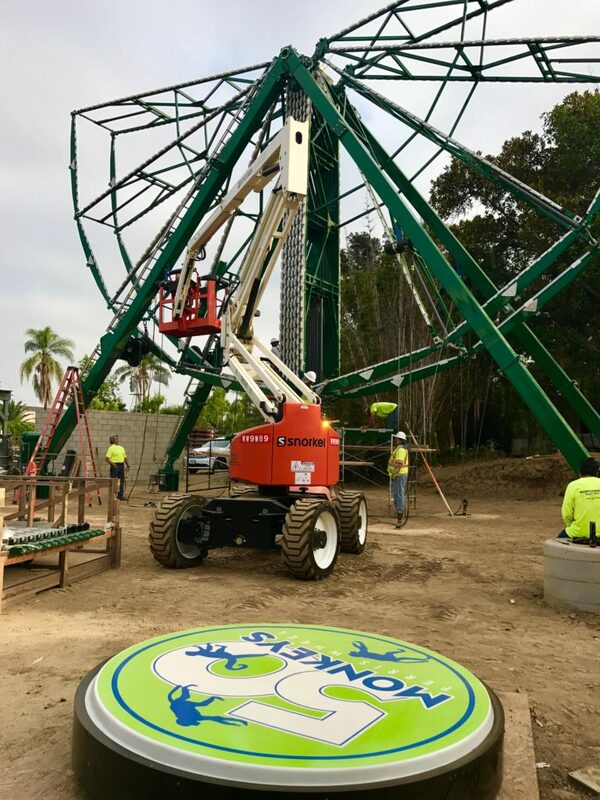 The Santa Ana Zoo is very proud of their primate collection, and must maintain at least fifty monkeys on the premises at all times... hence the name of the new ride. 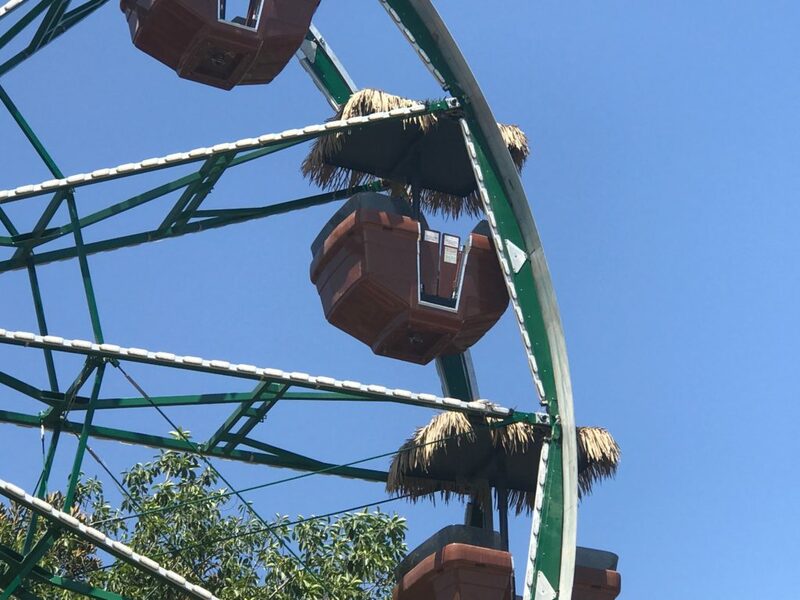 The new Ferris Wheel has fifteen gondolas that can be loaded three at a time. 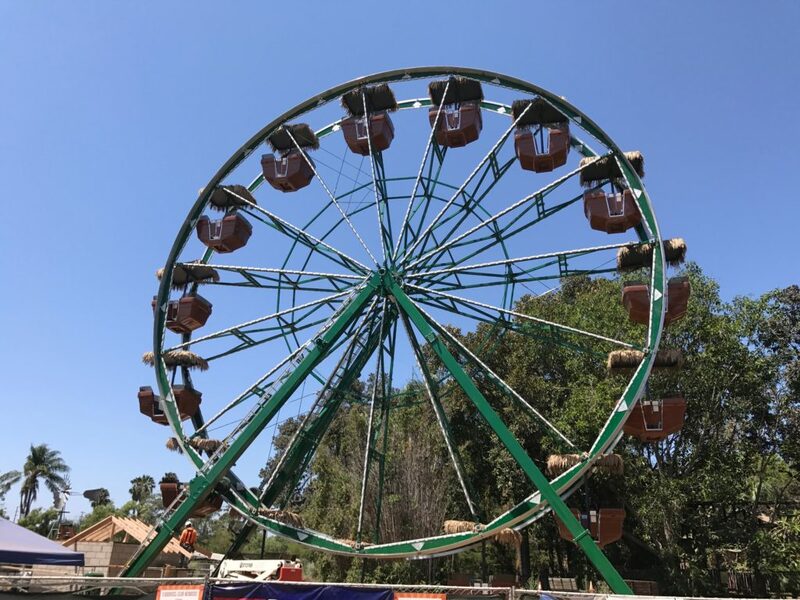 The siting of this new attraction anchors the Crean Family Farm and petting zoo areas of the park. 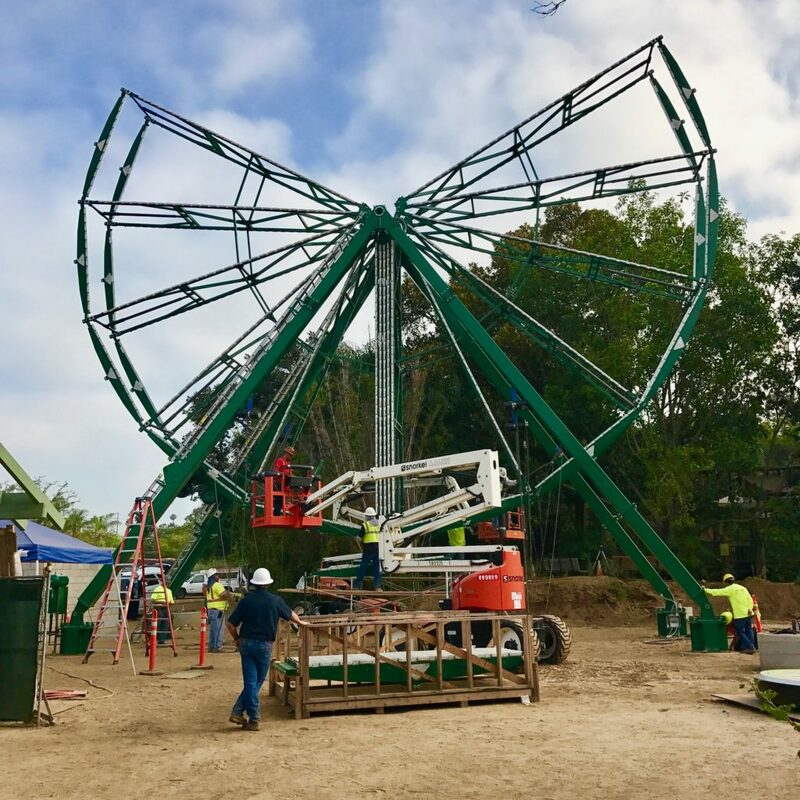 The addition of the third ride is expected to almost double current ride revenue, all to be invested right back into the Zoo. 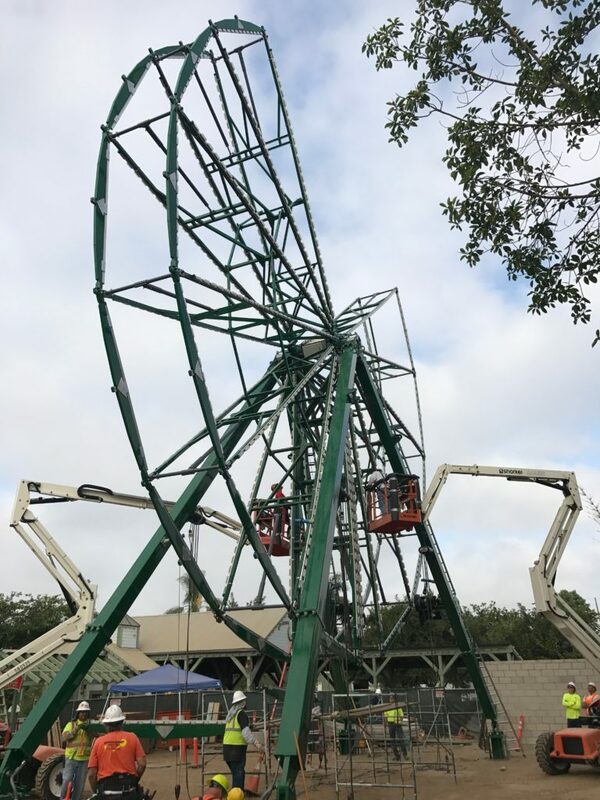 This important revenue source is slated to fund new exhibits, programs, and facility improvements throughout the park. Master Plan & Design: Exline Design & Architecture (EDA); Structural Engineering: Mr. Jerry Miles, P.E., Bert L. Howe & Associates; Geotechnical: Mr. Brad Dybel, Laguna Geosciences, Inc.; 3D Visualization: Mr. Mike Munson, Munson Studios; Client: Ms. Cathi Decker, Executive Director, Friends of the Santa Ana Zoo (FOSAZ).